Choosing the best carpet is really about finding the right combination of aesthetics, performance and budget to best meet the needs of your lifestyle. Here are a few items to consider when shopping for the right carpet for your home. Carpet is available in 12’, 15’ and sometimes 13’6” widths. Unless the room to be carpeted is narrower than these widths, the carpet will be seamed. 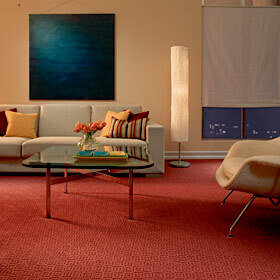 With looped or low-profile patterned carpet you may have visible or peaked seams. The degree of their visibility depends on texture, color, lighting and furniture placement. The ounces of fiber per yard. The Twist Level (measured in number of revolutions an individual yard is spun around itself. Another thing to keep is mind is how the color of carpet affects the mood and feeling of room. Color affects the way we perceive size. Light colors reflect light and open up a space, making it appear larger, while darker colors make a space feel cozier and more intimate. If you want to liven up a space try using warm colors. Warm colors are the colors of the sun (reds, oranges, and yellows). These colors are conducive to energy and activity. Cool colors (blues and greens) are the colors of nature. They are calming and soothing. Stainmaster Plus Visco ~ is the best padding on the market. It has an enzyme treatment and a breathable vapor barrier which help protect against mold, mildew, and reoccurring stains. But, best of all, it is extremely comfortable. 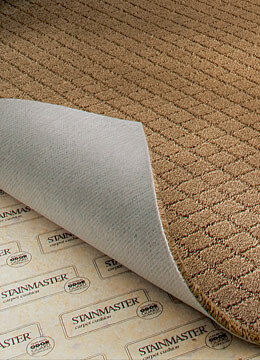 You’ve probably heard that a good padding will increase the life of a carpet. Well, you’re right! 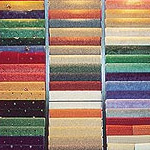 We strongly feel that high quality padding is essential when purchasing carpet. We recommend an eight pound density rebond padding, we have found it to be the most resilient padding on the market. If your home is prone to spills from pets or children you might want to consider a padding with a built-in spill guard and enzyme protection. These 2nd generation pads have vapor barriers which keep liquids from penetrating the padding (where you can’t clean up the spill) & enzyme treatments which help neutralize odor causing germs. For more information on care and maintenance for your carpet, click here. 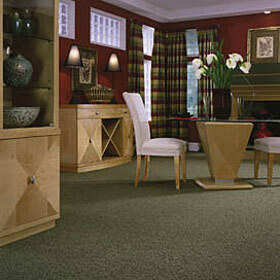 Carpet is economical and is generally less expensive than hard surface products.